Yesterday’s meeting at the Marsa Racetrack heralded the start of the new 2017 season with the first programme of races – ten in all – reserved for trotters. The two most important races were handicap finals from the MRC Champion Trotter, open for horses from various classes, on a short distance of 2,160m. In the final for Premier, Gold and Silver classes, 11 horses lined up at the start as Rapide Du Matin (Julian Farrugia) set the early pace. However, the pacesetter was soon overtaken by Swedish mare Cummin (Rodney Gatt) which led ahead of Sensei (Noel Baldacchino). Then, midway through the distance, Gozitan driver Marco Refalo put Overtaker By Sib in front and the Italian trotter never lost pace to seal its first win of the season in front of Power To Be (Charles Camilleri). Cummin was third ahead of Turbot De Renier (Ivan Bilocca). In its win, Overtaker By Sib clocked an average time of 1.17.7” per kilometre. Eleven other trotters took part in the Bronze and Copper class final. Although starting with a 20-metre handicap, French trotter Quipson (Noel Baldacchino) still shot into the lead. The 13-year-old trotter continued to lead the way and dashed past the post first, some seven lengths ahead of Swedish mares Jezira (Rodney Gatt) and White Flame (David Ellul). Seigneur Du Dropt (Michael Sultana) settled for fourth place. Edwin Borg, the Malta Racing Club chairman, presented trophies to the owners of the two winning horses. In the first, French newcomer Tenor Courtamblay (Ryan Scicluna) went unchallenged for almost the entire 2,140-metre distance. 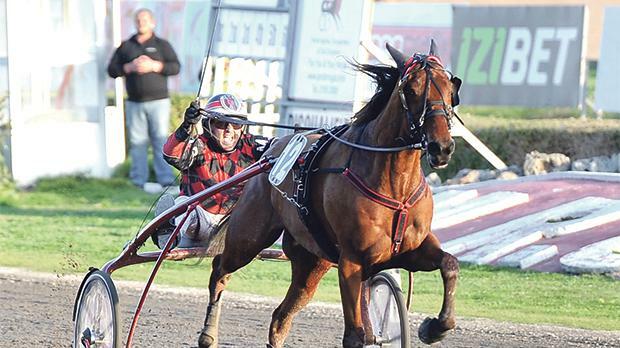 This ten-year-old trotter secured its first win in Malta comfortably in front of Quillian Joyeux (Andrew Farrugia), P.A. Surprise (Lorraine Cunningham) and Ronson Cloc (Carmelo Farrugia), in that order. The other Gold Class race had a similar ending as Danish newcomer Remain Garbo led all the way under the guidance of Charles Camilleri. Ripsos De Fa (Ivan Bilocca) was runner-up and Tango De La Manza (Brian Zammit) third ahead of Lover Roc (Jurgen Attard). Meanwhile, during yesterday’s meeting Noel Baldacchino was awarded as the best driver for the previous season. Kurt Saliba was the top driver in the under 25 category and in another ceremony the owners of Overtaker By Sib were presented with another trophy after their popular horse got the most consistent award for 2016. Another meeting at the racetrack will be held next Sunday.